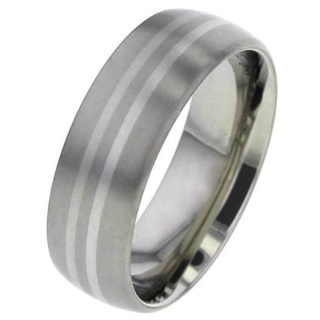 Derived from the Spanish word ‘little silver' Platinum is one of the rarest elements in the earth's crust, discovered in South America it is regarded as one of the most precious metals on earth. 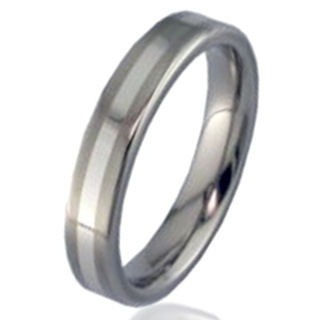 Among the main advantages of platinum when used for jewellery design, are its strength and resistance to tarnish and its hypo allergenic qualities. 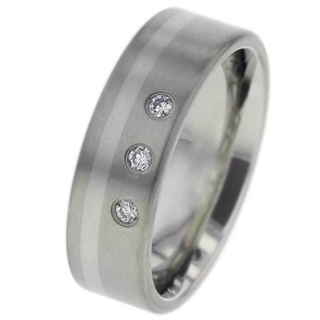 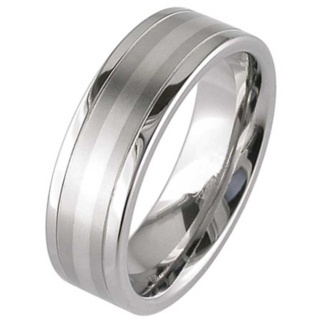 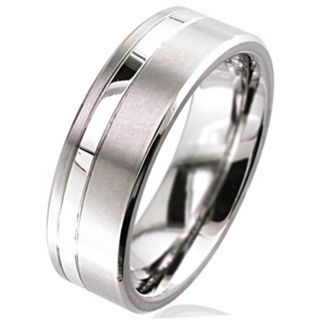 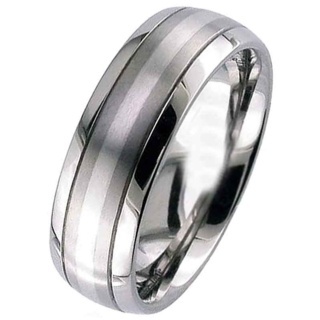 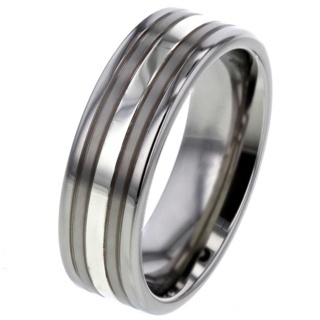 It has a slightly dark steely grey colour and it is both enigmatic and elegant when combined with titanium as a wedding ring.